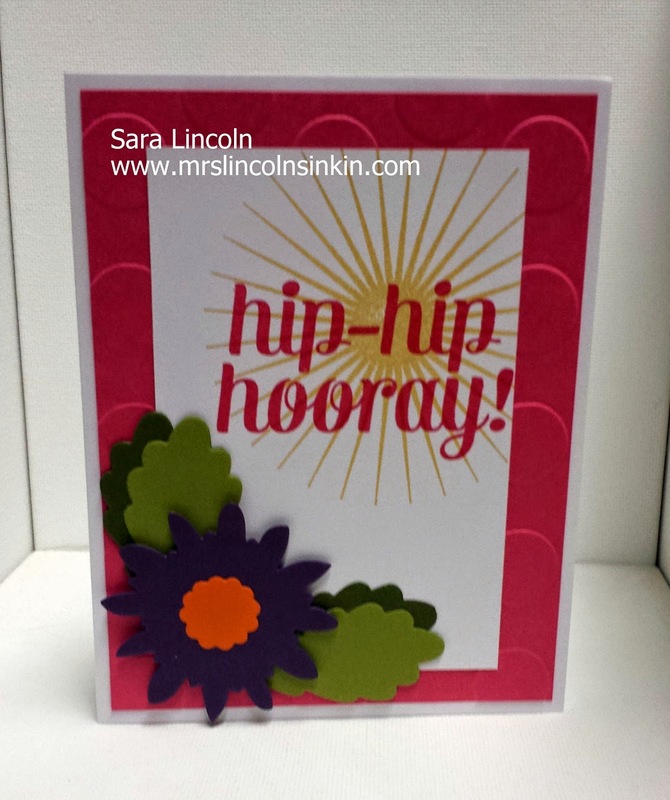 Mrs. Lincoln's Inkin: Hip-Hip Hooray... it's your Birthday!!! Hip-Hip Hooray... it's your Birthday!!! Hello all my crafty friends! Welcome to today's share at Mrs. Lincoln's Inkin'!!! 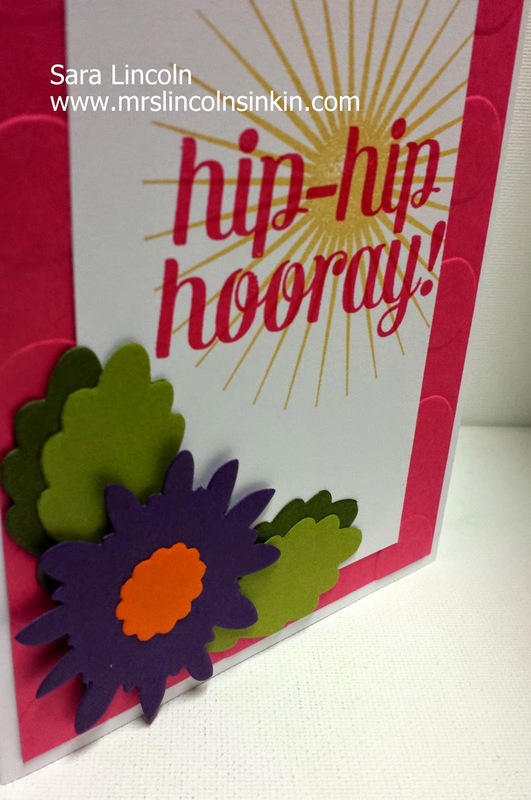 I then layered another piece of Whisper White and used the Kinda Eclectic stamp set. I am obsessed with this set and the sunburst looking image. I cant get enough of it, lol:) It is a great stamp to use as a vocal point or as a background like i used above. This sentiment is from the new photopolymer stamp set Bravo. The photopolymer sets are completely transparent, so you can see exactly where your image is going to be placed without having to use your Stamp-A-Ma Jig. It makes it a lot easier for a person like me that has a hard time getting things straight:) One thing that i didn't realize when i purchased this set is that the greetings themselves are actually quite large, which i love.